St Christopher’s Home Care offer bespoke homecare and support. This guide can help you make informed decisions about your care. It contains information on care in Berkshire, including having a care assessment, funding social care and supporting carers. There is also a comprehensive list of social care services in Berkshire, including care homes for the elderly, home care for people with learning or physical disabilities and dementia nursing homes in Berkshire. 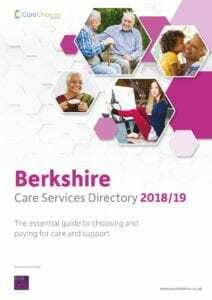 Call Care Choices for a free copy of the Berkshire Care Services Directory. Phone 01223 207770.